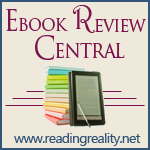 Ebook Review Central for Dreamspinner Press for November 2011 – Escape Reality, Read Fiction! Happy Boxing Day to those in the UK, Canada, NZ and Australia! For the rest of us, happy Monday. And welcome to the post-Christmas edition of Ebook Review Central, where it’s still November, and it’s time to look at Dreamspinner Press titles for that month. Dreamspinner fans seem to have started their Turkey Day comas early in November. Every title received at least one review, but there were no overwhelming favorites this month. Just a nice, steady stream of reviews. Last month’s featured titles continued to receive acclaim. Rick R. Reed’s Caregiver continued to rack up even more reviews this month. Roux and Urban’s Divide & Conquer not only added to its impressive review tally, it made several “best of 2011” lists, including Samantha’s Top Picks for 2011 at Fiction Vixen and Library Journal’s Best Ebook Romances for 2011. But we’re here to highlight the November titles. Cop Out by KC Burn is a story “about love, romance, growth, and doing the right thing,” according to one reviewer. This is a clearly both a police story and a love story with multiple twists on the way to its deserved happy ending. When Kurt’s detective partner is killed in the line of duty, Kurt knows that he must visit his partner’s family. It’s what partners do. But when he tries to locate his partner’s family, he has to do some investigation. His partner was deeply in the closet, and kept his life partner, Davy, isolated and alone to the point of abuse. Now Davy has no friends or support network, and is alone with his grief. Kurt and Davy’s journey to friendship, trust and eventually love make the story of Cop Out. Unshakeable Faith by Lisa Worrall is an amnesia story. 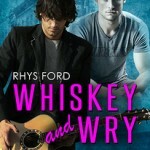 Brody Tyler feels obligated to help a young man who suffers a vicious attack and then walks into his bar with amnesia, so he invites him to stay. They fall deeply in love, in spite of the young man’s lack of memory. Brody calls him “Nash”. Six months later, “Nash” is the victim of a hit and run driver, wakes up in the hospital, and remembers his original life, but not his life with Brody. Brody convinces Nash’s family that he is Nash’s bodyguard, so that he can continue to be near him, and find out who is after him. Ms. Worrall doesn’t just make the amnesia story work, she convinces the readers that the life during the amnesia spell is real enough that we mourn the relationships that are lost when it ends. Amnesia stories can be hard to make believeable, but Lisa Worrall carries it off, according to the reviewers. That’s all for this week. See you on next week (next year!) for Samhain Publishing’s November 2011 titles.